There are many services that vehicles require that tend to get overlooked all too often. Completing these repairs is necessary for your vehicle's health and they will ensure to keep your wallet a little bit thicker by preventing the need for larger repairs and proper auto maintenance can increase the miles per gallon your car, truck or SUV can get. 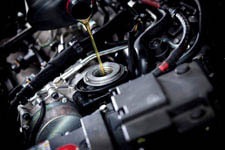 While most people know that changing the oil is necessary every 3,000 miles or so, they may forget to complete some of these other regular auto maintenance services, such as the following. Your car burns a mix of gasoline and oxygen to power the motor. If the airflow is reduced due to a dirty air filter your car may compensate by burning additional gas, which is called running rich. This is not only a waste of gas but it can cause additional problems inside the engine. The engine in your gasoline powered vehicle uses spark plugs to create very small explosions that propel the pistons up and down inside the engine. They go off millions of times for every 1,000 miles traveled and a dirty, ill-gapped or corroded spark plug can misfire, wasting fuel and creating additional heat inside the engine that can cause major problems. Tires are designed to be pumped up to a specific pound per square inch (PSI) rating for optimal performance. If your tires are low the engine will have to work harder in order to make the soft rubber turn, decreasing fuel efficiency by 2 MPGs or more. Vehicles use a transmission fluid to help shift through the gears. If this fluid gets dirty it can cause major damage inside the transmission and eventually cause your vehicle to grind to a halt. If you notice a reddish fluid in your driveway there is a good chance you have a transmission leak. Regular auto maintenance is important for your car. It will keep you moving for many years if conducted regularly. For professional auto maintenance in Sacramento bring your vehicle to Freeport Automotive. Our team of ASE certified technicians offer dealership style auto maintenance and repair for all makes and models. Give Freeport Automotive a call today at (916) 389-2405 to request an estimate or to schedule an appointment for expert auto maintenance in Sacramento!